To keep up with current production requirements, we partnered with ALD Vacuum Technologies GmbH, to adapt the heat treatment of large batches to the treatment of single components. This new and unique concept improves both productivity and quality, in an environmentally friendly way. EN36 is an Alloy Case Hardening Steel. Characteristics of the steel are toughness arising from the use of nickel and a more uniform hardness produced by the use of chromium. It is specifically designed for carburising to give a very hard case with a strong core. 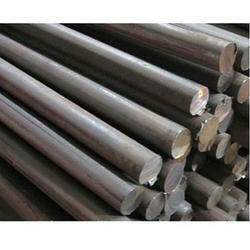 The EN 36 / EN-36C Steel is offered to our clients in round shape. Laxcon specializes into the production of 17-4, 15-5 steels (also known as 1.4542 and AISI 630). The precipitation hardening (PH) stainless steel Grade is a family of corrosion resistant alloys that provide hardness upto three or four times that of an austenitic stainless steel such as type 304 or type 316. ASTM A 297 Gr. CB7Cu1 / 17-4PH. 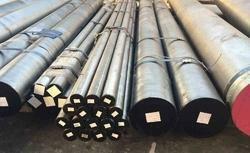 We offer a wide range of Case Hardening steel for producing finished goods and scraps. This steel is obtained by adding Carbon on the outer surface of the steel. The target properties of components made of case hardened steel are Tough core and a Hard case.